American Development Co.: The American naval hospital contracted AstroGuard! The American naval hospital contracted AstroGuard! Congratulations to the American Navy!! 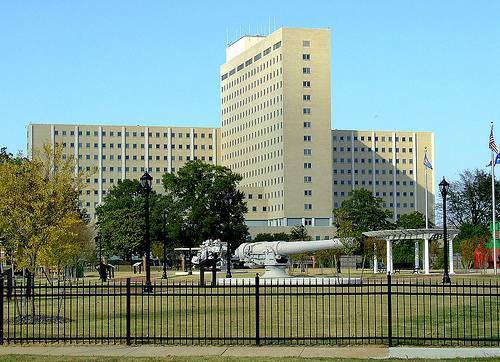 American Naval new hospital Portsmouth in Virginia, USA decided to equip the building with the best anti-hurricane product currently on the market: AstroGuard. The keyword for the American Navy is Security, Safety and Quality. It is the only important points to them. With anti-hurricane shutter AstroGuard, they met their expectations and their obligations. It is not a wonder that the American Navy elected Astroguard. In fact, Astroguard presents an extreme reliability regarding the resistance and the protection from the rain, the wind, the projectiles and the barometric pressure changes. Astroguard shutter is also 100% UV resistant thanks to a special resin. In other words, the sun of tropical regions as the Caribbean for instance will not have any impact over the quality of the shutter. To insure you the excellent quality of the product, this latter has a 10 years warranty. Only Astroguard has presented these great and secure characteristics, token of quality and reliability. American development gives you tips and advice about the anti-hurricane shutters.